Welcome to our new Bids and RFPs section. Check back often to see any RFP’s or Bids we have posted. Any and all questions on Bids or RFPs please contact our Projects Coordinator Esther Motongo at (575) 650-7590.
until September 18, 2018, 9:00 a.m. at which time bids will be opened and publicly read aloud. Bidding documents in electronic Adobe Portable Document Format (pdf) may be viewed or downloaded through the online Plan Room at http://www.wilsonco.com/plan-room at no charge. Contractors, Subcontractors, suppliers, etc. must register or log-in to view and/or download bidding documents. Printed copies of the bidding documents may be obtained upon request, at the office of the consultant, 414 N Main Street Las Cruces, NM; call (505) 348-4005 to place on order. Printed copies require a $150.00 refundable deposit, payable to Wilson & Company, Inc. The deposit will be refunded provided the bidding documents are returned to the consultant in good condition, un-marked or un-written, within ten (10) calendar days after the bid opening date. 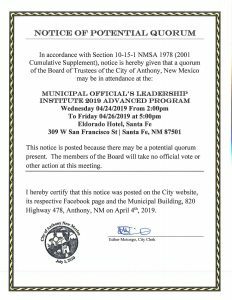 Prospective bidders are encouraged to attend a non-mandatory Pre-Bid Conference which will be held at City of Anthony Municipal Building, 820 Highway 478, Anthony NM 88021 on September 10, 2018 at 9:00 a.m. 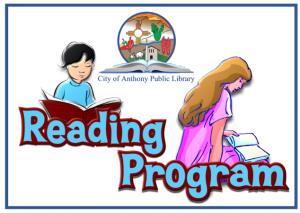 This Project is funded in whole or in part by a grant from the state of New Mexico Small Cities Community Development Block Grant Program and is subject to requirements of the United States Department of Housing and Urban Development and the funding agency.